A wood stove can be one of the smartest purchases you ever make for your home. Not only can a wood stove provide a warm and cozy ambiance, it can also be a simple and efficient way to heat your space and reduce your overall energy costs. Selecting the right wood stove doesn’t have to be complicated or confusing. To begin, it’s helpful to think about how you want the stove to work for you. 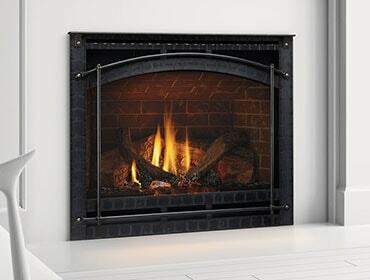 Do you want it to provide supplemental heat, back-up heat, ambiance or an occasional fire on cool nights? Knowing how you will be using your stove will guide each decision about heating needs, construction type and combustion system. Just follow this quick buying guide to determine the best choice for your location, heating needs and lifestyle. And if you’d like to learn more, your local Quadra-Fire dealer will be happy to help you weigh the options to find the right stove for you. To find one in your area, head over to our Dealer Locator. While you certainly don’t want to buy a stove that’s too small to do the job, buying a too-large stove can also create problems such as chronic underfueling that can contribute to creosote creation. Your Quadra-Fire dealer will help you to find the “just right” size for your needs. Size of area to be heated Will the stove be heating a room or a larger space? Stoves come in small, medium and large sizes, and determining the right size depends on both the square footage of the space as well as what other heating system (if any) is at work. Since there are many variables, your best bet for determining the right size wood stove for your space and heating needs is to consult with a local stove expert. Heat loss Does home design contribute to heat loss? 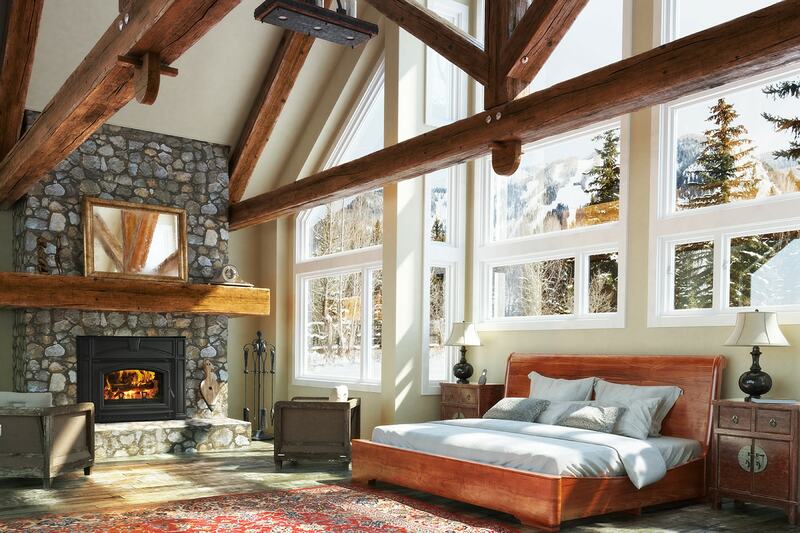 In addition to the size of the heating area, you’ll need to think about how much heat could be lost from older or insufficient insulation or through the number of and size of windows, especially those with only single-pane glass. Higher ceilings can also contribute to heat loss. 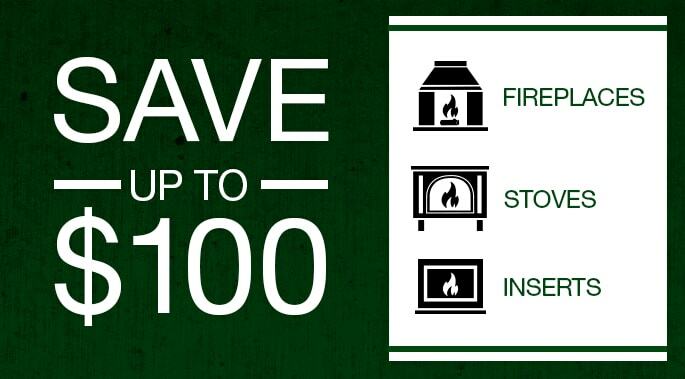 Consider the layout of your home when determining the size of wood burning stove you plan to purchase. A smaller stove might be able to handle heating a one-story space, or one with an open floor plan. A larger unit might be required for an area with multiple levels, hallways and bedrooms. Geography What’s your climate like? If you live in an area with severe and prolonged winters, you might require a larger stove than those living in milder climates. Cast iron or steel Do you have a preference about your stove’s material? Cast iron stoves are often more ornate in their design and can retain heat longer after the fire goes out. They are usually higher in cost than steel stoves. Some cast iron stoves are available in colors that complement the décor of your home. For example, Quadra-Fire iron stoves are available in Classic Black, Porcelain Mahogany, Porcelain Frost, Porcelain Dark Blue and Porcelain Black. Steel stoves are more streamlined in their appearance, usually heat up more quickly and are typically less expensive than cast iron stoves. They are typically only available in black. Non-catalytic or catalytic How does the stove reduce emissions? All Quadra-Fire stoves are non-catalytic. They create a good environment for combustion right in the firebox, and they’re appreciated for their beautiful rolling fires. They require much less owner attention and hands-on monitoring than catalytic stoves. Catalytic stoves must be burning hot enough before the catalyst is engaged. They also require regular cleaning. Their operation is somewhat more complicated and hands on than that of non-catalytic stoves. Burn time How long will a stove burn a load of wood? Stoves can have burns times of anywhere from eight to 40 hours. Those times can vary model by model, and can also vary by type and species of wood being burned, wood moisture content and size of wood load. Most Quadra-Fire models feature Automatic Combustion Control (ACC) Technology, a burn-rate control system that feeds air to the fire when needed, based on the amount of heat desired. Automation What features can make my stove easier to operate? Quadra-Fire Adventure Series models are fully automatic, with no manual air controls to manage. Their programmable thermostat works like the programmable thermostat for a furnace, and allows you to specify lower temperatures when you’re away or higher ones for when you return home. Theirs is also an “alert” feature when it’s time to add wood to the fire. Loading Is wood loaded on top or in the front? Wood stoves can be loaded from the top or the front. Certification Is the stove EPA certified? EPA (Environmental Protection Agency) certification requires compliance with strict emissions and efficiency regulations designed to reduce pollution and control energy costs. All wood stoves on the market must be EPA certified. All Quadra-Fire wood stoves are outfitted with a patented Four-Point Burn Systems, which are four distinct combustion cycles to maximize fuel-to-heat conversion. They fully burn every log, while re-burning gases and smoke up to four times. That means you have fewer trees to cut or cords to buy, less particulate emissions and far less ash to clean up. Ready to take the next step? Connect with a local Quadra-Fire dealer today and they’ll happily walk you through the selection process!